Plastic Logic chose an unusual 3:1 aspect ratio - with the idea being that this is useful for smart watches. The company says their technology is especially suited for wearable devices. 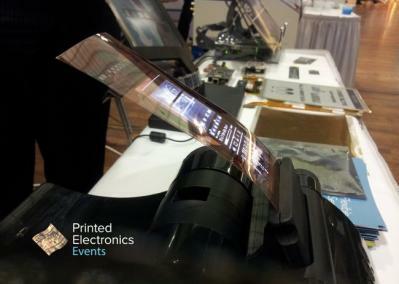 Last month we posted an article explaining Plastic Logic's technology and their OLED plans for the future.